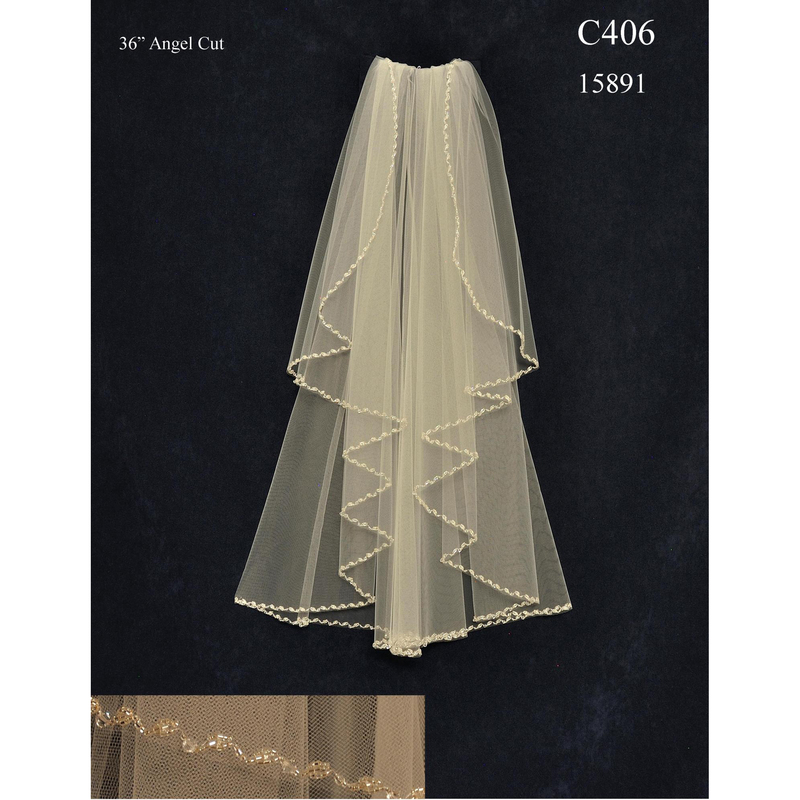 JL Johnson C406 is a 38″ long, angel cut veil. 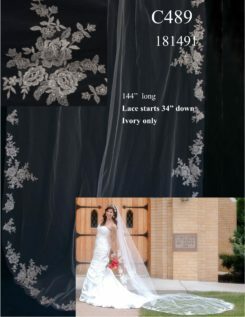 This fingertip length veil has a beaded edge. 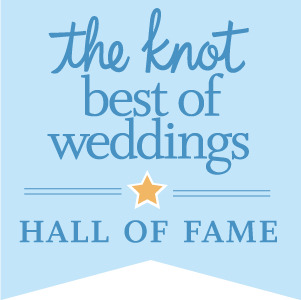 It is available in white, diamond white, and ivory. JL Johnson C406 is a 36″ long angel cut veil. 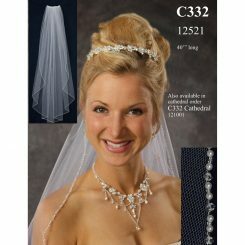 It is a single layer with a beaded edge of twisted silver lined seed beads along the edge. 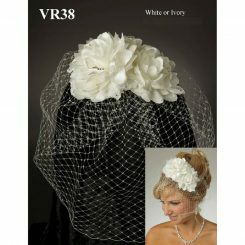 This veil is available in white, diamond white, and ivory. 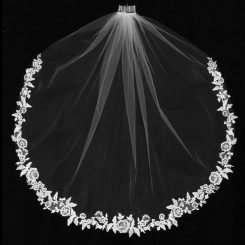 The simplicity of this veil will accent your dress without taking anything away from it. 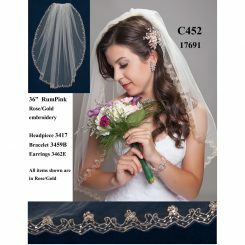 Whether you choose an updo, half up half down, all down, or anything in between for your hair, this veil will look amazing. 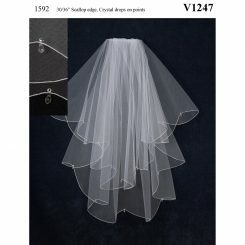 This veil can be made any amount shorter; however, it cannot be made any longer. It is currently at fingertip length. 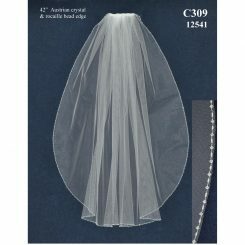 Any jewelry with crystals will go nicely with this veil, along with any beading on the dress.